The year I met my husband, I bought my first annual Swarovski crystal star for the Christmas tree. While I thought it was a magnificent decoration, I didn’t realize how special the ornament would become. The next year, Scott and I were still dating, and I knew in my heart we were meant to be together. When I read Swarovski had released its annual crystal ornament, I went to the store and immediately bought it. As I put up the new decoration on the tree, I smiled at the thought that these gorgeous ornaments represented my time with Scott. We will be married 10 years this November, and this year marks the 13th crystal we’ll add to the tree. When we set up the Christmas tree, we happily spot the blue triangle-shaped boxes the stars are stored in. Scott and I always put up the Swarovski ornaments first, talking about what happened in the year of the particular crystal we are hanging. I love feeling the weight of the ornaments and the soft satin ribbons they hang by. These ornaments have taken on a life and significance of their own over the years as we evolve as a family. Every holiday season, I anxiously wait to see what crystal star Swarovski will release, and this year is no different. Of course, I immediately went out and bought it. I just love that, just as in life, no two stars are alike. 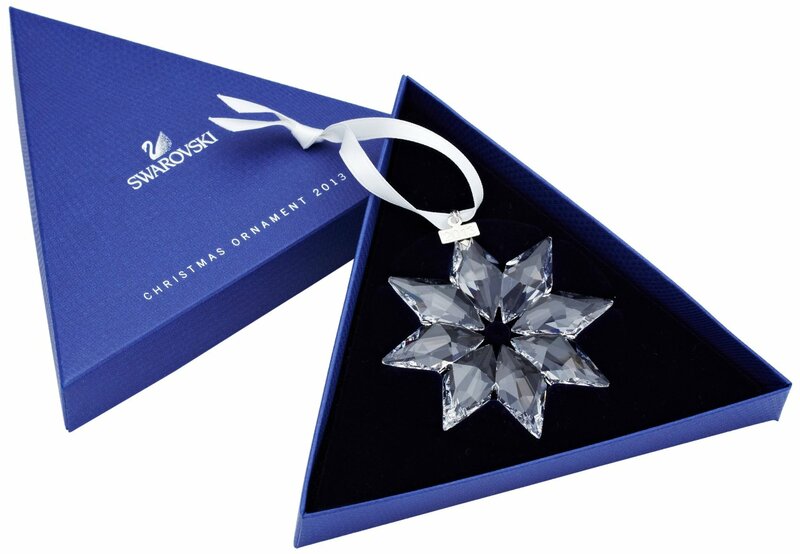 Swarovski creates a unique star just for that year. It’s such a wonderful indulgence that has become a time honored tradition in my house. When the holiday tree goes up this year, I will spend an evening taking in the glow of the Christmas lights, enjoying how the crystal stars shine and glimmer, reminiscing about all of the wonderful years Scott and I have had together and dreaming about the years ahead. What holiday tradition do you look forward to every year? What a sweet tradition! We ended up getting some doubles of items the year we got married, so I returned them to the store and used them to get ornaments instead. I love taking those ornaments out and thinking about our years together. Thanks for bringing up such good memories! I am a Swarovski collector & we have all the Swarovski Christmas Stars, and even some old ones from the 80’s in our collection. For a Really Beautiful Tree, get several Christmas Ornament ‘Spinners’, and attach the crystal ornies to it on the tree! We must have close to 24 of these, and the results are just spectacular on the tree! LOTS or rainbows! (and No, we have never had one of the ornies fall off the Spinner, just make sure you have them on there well). What a cool tradition!!! I love this idea- and your tree must be gorgeous with all those sparkles! Our tradition is in the form of a tree that is all glass and gold. Each year it goes up on Thanksgiving Day with the help of whatever neices and nephews are at our house. 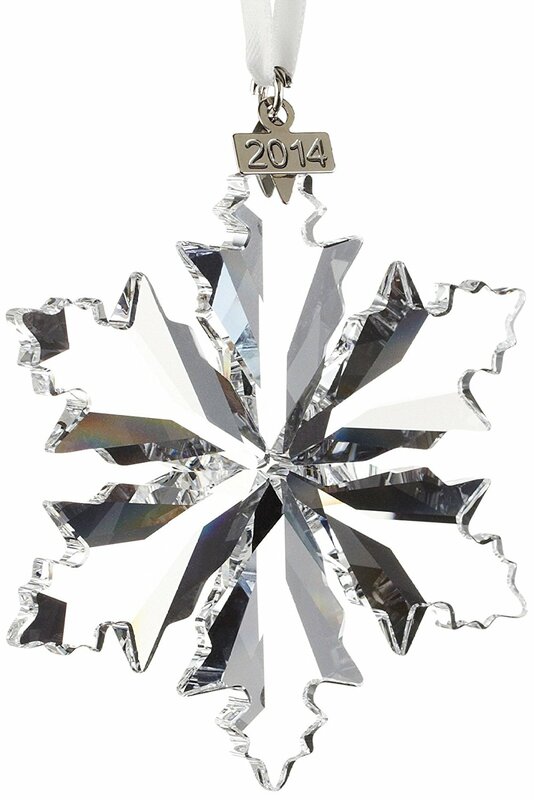 Yes, a glass ornament could get broken but… I will be checking out the Swarovski Crystal this years. Blessings to you and yours! Hopping here from Inspire Me Monday. Beautiful 🙂 I love hearing about people’s traditions. I hope you’ll show off your tree this season. That sounds like a fun linky right? Show off your tree! I might have to do that. 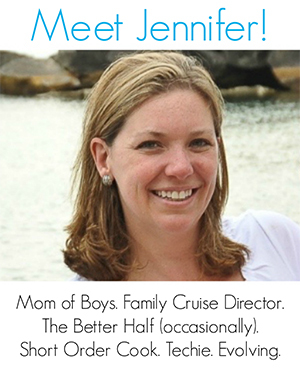 Thanks for linking up to Mommy Monday. I’ve been looking for a tradition that can build upon itself over the years. Post a pic of your tree with your star lineup!